The Installation of Netrunner is ok, without problems. 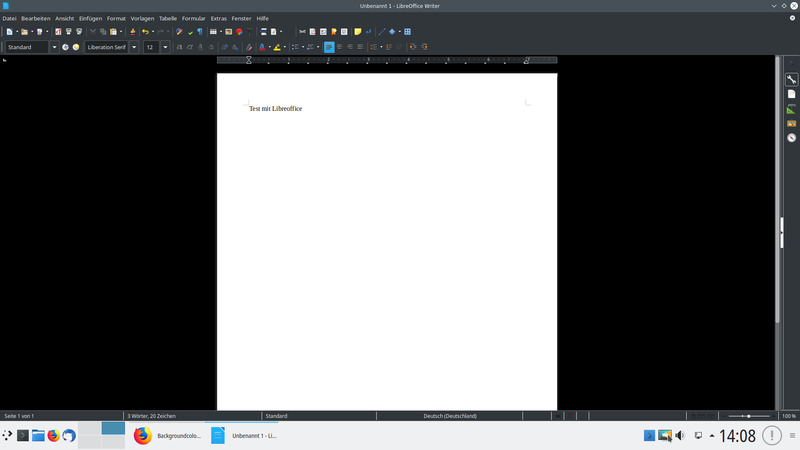 Only in LibreOffice I get a black background and the letters are white.?? 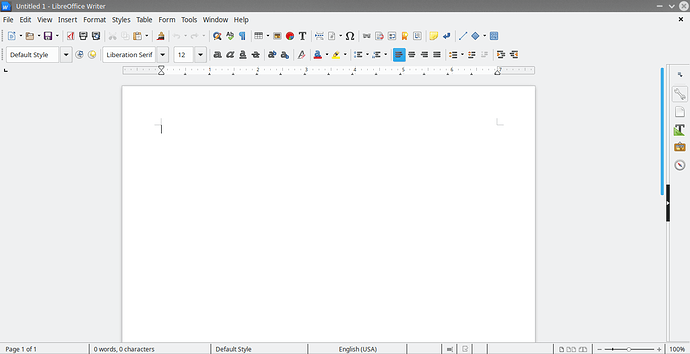 All other are ok.
Has LibreOffice a “special-button” to change the colour? I tried it with Breeze, the same result. do you have a screenshot how it looks? If you changed the theme to a light theme for Plasma you need to adjust the GTK Theme settings aswell to a light version like Breeze for example. 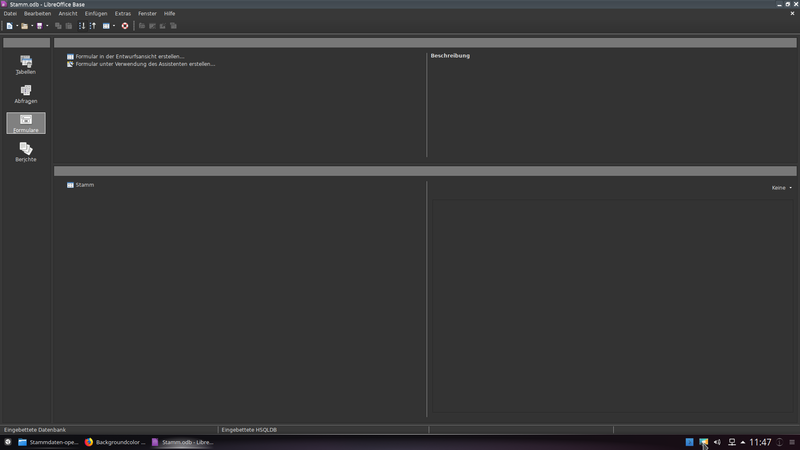 LibreOffice seems to use the GTK color settings here. 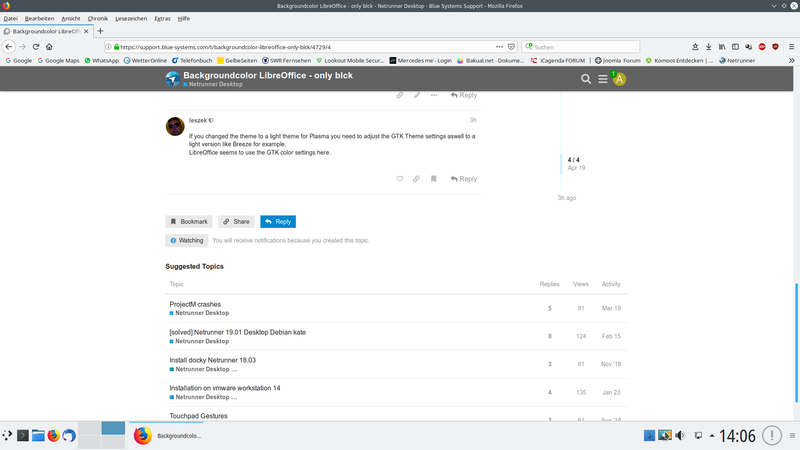 now I changed all Parameters to Breeze light and I got a “normal light” Display. Should I change the parameters especially for LibreOffice? If yes, do you know where? 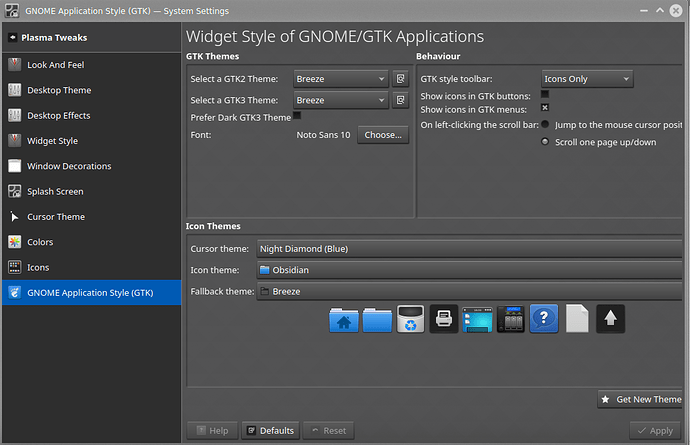 Please try Settings - Gnome Application Style (GTK) - and change both GTK2 and GTK3 themes to Breeze, plus untick prefer Dark theme. This should fix it. I’ve set all to Breeze and all is ok, except LibreOffice. But I can accept that, perhaps I will find another solution in the future. I see absolutely no reason why it shouldnt look like that on your end if you do the same? 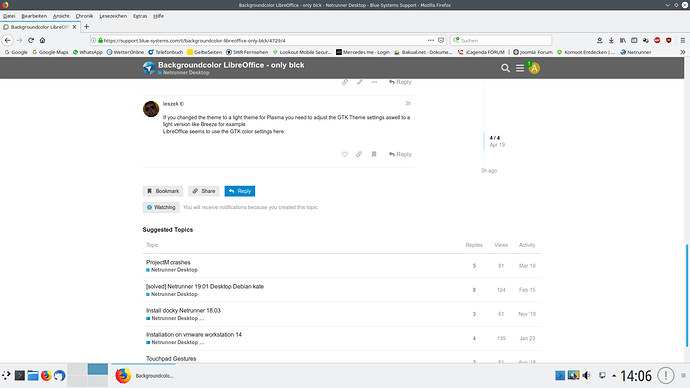 I did all before, but I’ve overlooked the switch for untick Dark Theme, painful.